The business improvement district team has moved to Waterloo House and promoted events manager Tahreen Kutub. Companies voted last year in favour of a second, five-year term for Colmore Business District which began earlier this month. The team running the BID has moved into a new home in Waterloo House, Waterloo Street, and promoted Tahreen Kutub from events and communications manager to deputy BID manager. She will oversee a team comprising project manager Mike Mounfield, project assistants Sarah Rennie and Jonathan Bryce, while executive assistant Clare Perkins will support executive director Michele Wilby. Matt Jones, the local police and community support officer for the CBD area, will also use the new office as a base. A BID is a precisely defined geographic area in which businesses pay an additional levy on their rates which is then used to fund projects, initiatives and services. CBD chairman Gary Cardin said: "Having had such a strong mandate from our businesses to continue to a second five-year term, it is crucial that we have the right capacity, the right skills and the right accommodation to ensure the delivery of the ambitious projects and services detailed in our BID2 business plan. 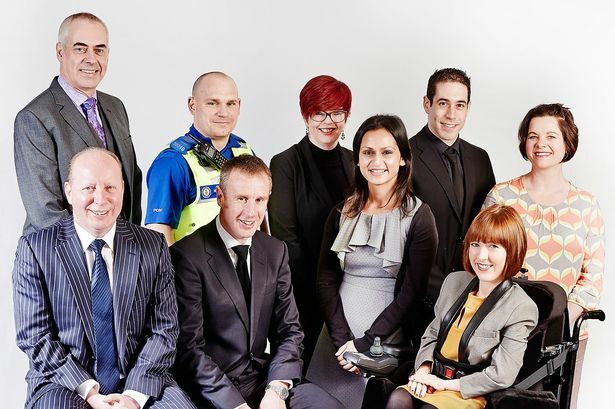 "I believe we have a highly talented, driven and passionate team who, working with the board, will ensure we take forward our objectives for BID2 and make a real positive impact on the business district. "Waterloo House provides a great environment for our team to work in and to deliver the very best in the business quarter in this new term."